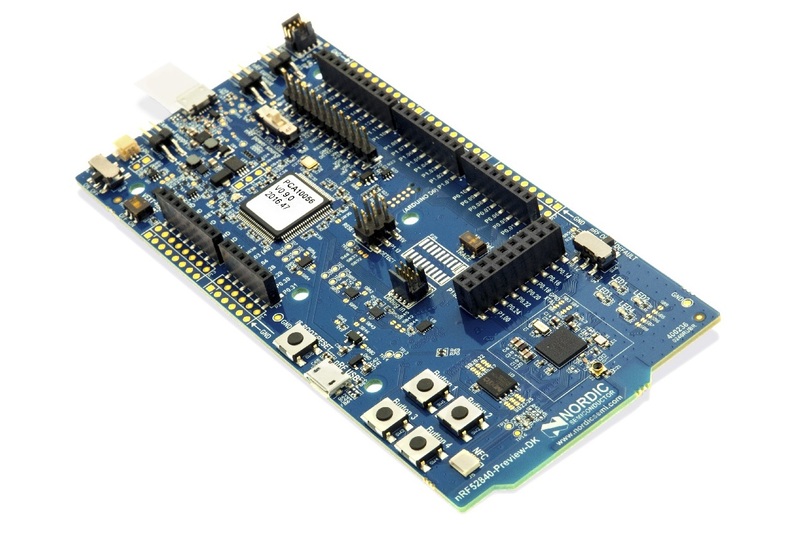 More information about the board can be found at the nRF52840 PDK website . The Nordic Semiconductor Infocenter  contains the processor’s information and the datasheet. nRF52840 PDK has two external oscillators. The frequency of the slow clock is 32.768 kHz. The frequency of the main clock is 32 MHz. Other hardware features are not supported by the Zephyr kernel. See nRF52840 PDK website  and Nordic Semiconductor Infocenter  for a complete list of nRF52840 Development Kit board hardware features. Applications for the nrf52840_pca10056 board configuration can be built and flashed in the usual way (see Build an Application and Run an Application for more details); however, the standard debugging targets are not currently available. You can build and flash the examples to make sure Zephyr is running correctly on your board. The button and LED definitions can be found in boards/arm/nrf52840_pca10056/board.h.